The One Celebrating My 5 Year #Coraversary! In October 2012, I took a risk. In October 2012, I self-published a book that was unlike anything I’d ever written before. What followed was a whirlwhind of change that happened very, very fast. My life quite literally changed overnight. My first book published in the middle of the month. I signed with my agent a week later. We sold to a publisher shortly thereafter. October 2012 was the beginning of a really incredible journey. And now, in October 2017, I’m celebrating FIVE YEARS of being a published author. 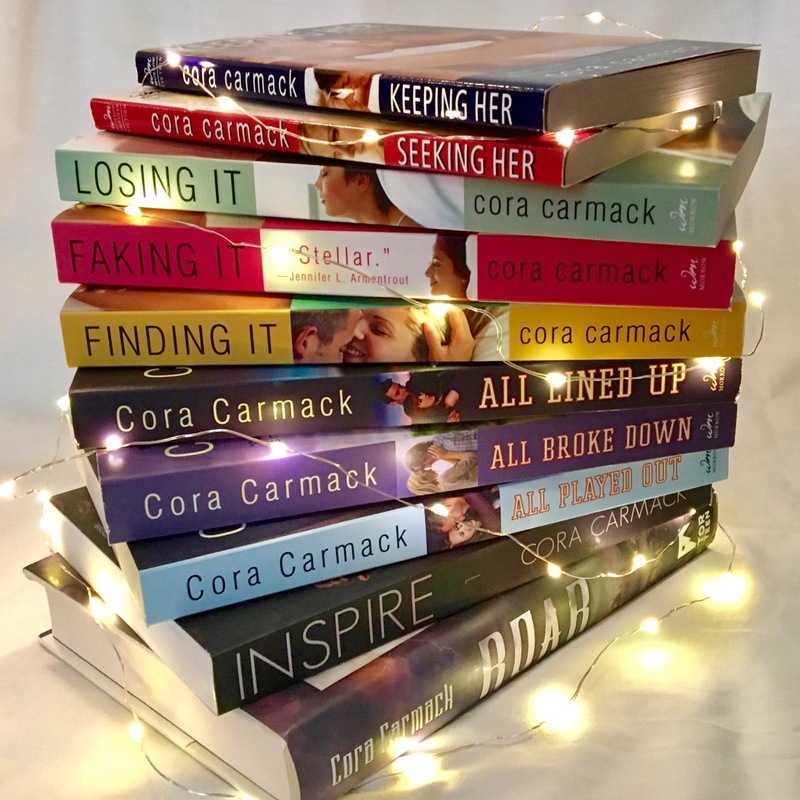 Enter the rafflecopter below for a chance to win a SIGNED FULL SET of my books – Losing It, Faking It, Finding It, Keeping Her, Seeking Her, All Lined Up, All Broke Down, All Played Out, Inspire, and Roar! 2017 has been a doozy of a year so far. I’ve experienced some amazing things— like the release of my first YA book— something I’ve been dreaming about for more than a decade. I got to travel around Europe with my person, Jay Crownover. I’ve met amazing, supportive readers at signings all over. But despite all those good things, it’s been a year of struggle. A year of both physical and mental health issues. A year when my anxiety became something I could no longer manage alone. A year when my depression reached depths that I’ve never had to face. Some days I feel normal. Some days I feel like the old me— passionate and eager and ready to take on the world. Other days it takes everything in me to get out of bed. The thing that has suffered the worst in this struggle is my writing. Writing has always been the thing that came naturally to me, the way I made sense of the world. Now I spend my days battling a voice inside me that says I’m no longer capable of finishing a book. You’d think that would be an easy fear to brush under the rug for someone who has already written ten books. But it’s not. For the first time in my life, I’m second guessing my ability to write, second-guessing every word I put on the page. It’s something I’m dealing with. I’m managing it in the best way I can, trying to challenge myself, but also be compassionate toward myself when I need it. Unfortunately, there’s no quick fix for a situation like this. And while I’ve had to slow down, the world has kept moving at its usual rapid pace. Deadlines keep coming, responsibilities must still be addressed, and hard choices have to be made. I know that you guys have waited an incredibly long time for All Closed Off. And there is literally nothing I want more than to get that book in your hands. You cannot imagine how much I have beaten myself up over the long wait for this book. If I could give it to you right now, I would. But it’s not ready (because I’m not ready). So, unfortunately, it will not be releasing July 18th. I don’t know when it will be releasing because as I said, the world keeps moving. And while All Closed Off will be self-published, which allows me a certain degree of flexibility, other parts of my career are not so flexible. And as I struggle to get back into a healthy routine, I must prioritize the work for which I am contracted. So here’s what I can promise you: I’m hard at work on the sequel to Roar. Stella and Ryan are constantly in my thoughts, and I work on them every chance I get. As soon as All Closed Off is ready, I’ll put it out into the world. I will do everything I can to make you wait as little as possible. And for every person who has waited this long, who has emailed and tweeted and messaged and yearned for Stella’s story—I appreciate you more than I can possibly put into words. There has been many an anxiety-filled moment when your little check ins and messages have kept me from giving in to frustration and despair. So all I can really do at this point is say thank you. And I’m sorry. And I hope someday I can make this up to you. The One with the ROAR Street Team and a Giveaway! Before anything else, I have to say THANK YOU to every single person who applied. I cannot even begin to describe how encouraging and exciting and absolutely humbling it is every time I do this. As I read through the applications, I felt your joy and your excitement for this book. That alone means everything to me. I’ve literally been happy crying all week. But more than that, so many of you have been with me through every book, and your willingness to jump into this new terrain with me is just so amazing. Many of you were names I recognize from social media or book signings or from stalking your bookstagrams. The first day I started going through the applications, I actually had two different maybe categories, because the idea of saying no to anyone was so painful, I was trying to avoid it as long as possible. But in the end, we had to cut well over 50% of the applications. Please know that if you didn’t make the list, it’s not because you’re not awesome or because your application was lacking in anyway. In the end, there were literally dozens of maybes that I would have quite gladly bumped up to the team if we’d had the space. But as I mentioned in my post on application day, we came to our decisions in array of different ways. We were looking for people with a variety of interests and skills and backgrounds. Some team members have big followings, some are just getting started and are hungry to dive in. Some live on the internet, and some talk books in the real world as librarians or teachers. Some people are artistic and others are super organized. We turned away a lot of really talented people not because we didn’t want them, but because we felt like we already had some avenues and skills well covered. So your presence or absence on our final list is in a no way a reflection of you and your worth to the book community. As a former book blogger (and former teacher), I know very well just how much work you all put in. I know the passion and heart you pour into this community, and I know it sometimes comes with very little acknowledgement or thanks. But if there’s one thing I’m certain of after visiting all your pages and sites, it’s that you all do incredible work, and readers and authors both are lucky to have you! So all that being said, please know how grateful I am for your interest. All of your applications were such a balm to my soul, and I do hope you will keep in touch. Now, without any further ado, I am absolutely thrilled to announce (in alphabetical order) the members of the Roar Street Team! YAYYYYYY!!! CONGRATULATIONS to everyone selected! I can’t wait to spend the next several months with y’all! And I especially can’t wait to usher ROAR into the world with you guys beside me. If you were selected for the Roar Street Team, you’ll be getting an email from me early next week with more information. We’ll also be sending eARCs out via NetGalley (with print ARCS to follow once we’ve got all the fun swag ready to go too). If you have a dedicated NetGalley email address that is different than the address provided in your application, please send that information to my amazing publicist Diana at diana.griffin@tor.com. Now….for everyone else: How about a giveaway??? I just happen to have some extra Roar ARCs lying around, so here’s what we’re going to do! I’m going to choose one winner from the remaining street team applications to win a signed ARC. You don’t need to enter, you already did that by filling out the application. Just keep an eye on your email today to see if you win. And I’m giving away a second ARC on the rafflecopter below that is eligible for ANYONE to win! Both giveaways are open internationally. 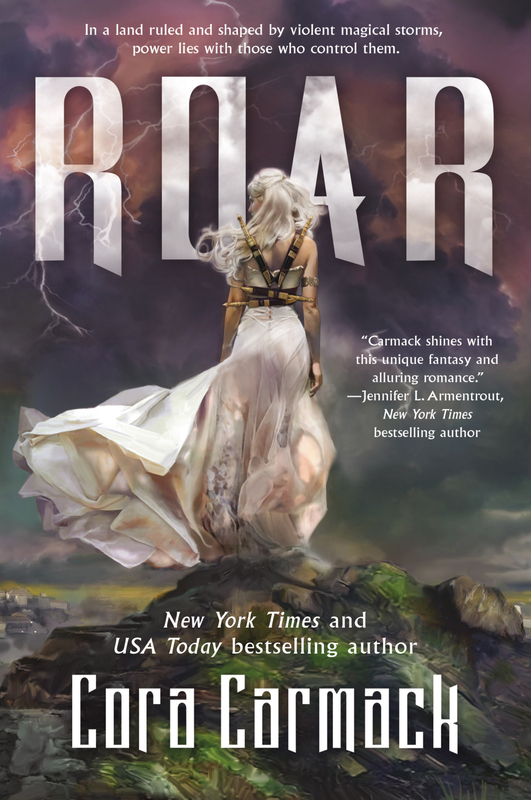 And finally, make sure you pre-order your copy of Roar on Amazon, Barnes and Noble, or iBooks – I can’t wait to share it with you! The One Where You Can Apply for the ROAR Street Team! So you might have heard about a book that I’ve been working on…a book that I’ve been wanting to write for almost a decade…a book that I am so excited (and so nervous) to share with you! CALLING ALL READERS, BLOGGERS, AND JUST GENERALLY AWESOME PEOPLE! I want YOU on the Roar Street Team! Yes, you! Okay, but what’s a street team? I’m so glad you asked! The former teams have done everything from making graphics, hosting giveaways, brainstorming marketing ideas, and spreading the word about my books like a plague (a plague of AWESOMENESS). They went above and beyond to host release day Facebook parties, and basically kept me from losing my mind during a (very exciting, but still very) stressful time. And…they’re just awesome people. Funny, kind, intelligent, generous people that I am so blessed to have in my life. Seriously… I cannot sing their praises enough. And as I venture into YA for the first time, I’m going to need people like that even more than before. If you’re especially stoked about the idea of me writing fantasy romance, that’s even better! It’s a big time commitment to be part of this street team (not just because you’ll be helping me, but also because our exclusive street team Facebook group is an incredibly fun place to hang out and ignore the rest of the world). Within the street team, you’ll be divided up in small groups where you’ll work together to earn cool prizes and extras. So if you’re applying, please be certain you have the time to devote to the team and your group. Every member of the ROAR Street Team will receive a print ARC. You’ll be able to hold Roar in your own hands way before anyone else! Exclusive giveaways ONLY for street team members. Swag, signed copies, and other special stuff. Your odds of winning are MUCH better than when competing with the masses. Exclusive content and news. When a new book is releasing or I’m writing a new project, you guys will be the first to hear about it! You’ll also be the first people I torture tease with excerpts! Swag for you! Swag for your friends! Swag for strangers you bombard on the street! Every active street team member’s name will appear in the acknowledgments of a future book. Show all your friends how important and beloved you are! Plus, I sometimes steal names when I’m creating characters. In fact, I got Roar’s last name, Pavan, from a street team member! Membership in the exclusive street team Facebook group! Here you can chat with other team members, brainstorm promotional ideas, and hang out with me! I’ll pop in for exclusive street team chats and hang outs…okay, and probably spend some time procrastinating, too. Not to mention I might pick your brain about books and characters you’d like to see. Or vent to you about my love life. All possibilities. As a street team member, there’s lots of things you can do to help my books succeed. You don’t have to do them all…at least not at the same time. And this is far from an all-inclusive list, but rather some suggestions to give you an idea of how we might need you to promote Roar. Talk the books up and share promo material with friends, family, co-workers, and book clubs. You can even drop off promo materials at bookstores, libraries, coffee shops, etc. Ask your local library to order Roar or any of my other books. Give the librarians the title, name and publisher of each book. In the same vein, ask your local bookstore to stock my books if they don’t already. Share your (honest) review/rating of the book via Amazon, iBooks, BN.com, and Goodreads. I can’t even begin to express how big a deal this is in terms of discoverability for new books. Spread the word about my books to your online friends and followers. Like, Retweet, and Share whenever/whatever you can! 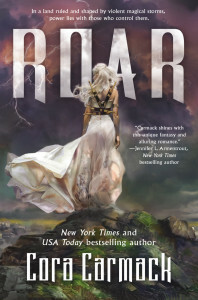 Recommend Roar on Goodreads and elsewhere. As readers, you wield so much influence. And every little bit helps! Participate in online Publicity and Marketing campaigns (Blog tours, FB parties, cover reveals, etc). You must fill out the application below by Friday, February 10th at 11:59pm (CST) to be considered. By requiring people to apply rather than just join a Facebook group, we get to know people better. We’ve been able to foster a sense of family within the group. We talk about much more than my books. We talk about other books we love. We talk about our lives– the good and the bad. We talk about the delirious and weird things that come up when we’re all staying up way too late. This time around we’ll be picking a bigger team than usual because we really want to go all out with Roar. I know that some of you have applied for my Rusk teams, maybe multiple times, and not made the cut. Believe me when I say that choosing these street teams are the HARDEST thing I have to do as an author. I always reach a point where I can’t narrow it down anymore because I love everyone, and I have to bring in other people from my publicity team to help make the final few decisions. And those decisions are often very strategic – we try to diversify the team as much as possible and make sure we’re choosing people with a variety of strengths and assets and interests. What that means is you don’t necessarily have to have the biggest blog or the most popular Instagram. We’re concerned with your enthusiasm and willingness to participate, not just your follower count. Your statistics are not the end all and be all here. So please don’t let the stress of filling out an application get to you. Just be yourself and tell us what you love. That being said, depending on the number of applications, there may be some that don’t make the team. But please know that I appreciate each and every one of you, and am so grateful to everyone who cares enough to fill out the application and put themselves out there. You are incredible. As a thank you for reading all this and considering applying, here’s a quick teaser featuring that aforementioned badass storm hunter….Locke sighed. It was well past time to start training her for real. Clearly, she would not be scared off by a little hard work as he had hoped. He stowed the maps back in the Rock, and then set off toward Roar’s shoddily constructed tent. The thing stood haphazardly, leaning with the wind, but true to her stubbornness, she had refused to let anyone help her set it up. He narrowly dodged a waterskin she tossed through the open flap of her tent, but he heard her moving around. She was always a little grumpy in the mornings, and it entertained him to no end. He dropped the tent flap and walked several paces away to wait. When she climbed out of the tent, he lost his train of thought completely. Her hair was mussed and wild, and her mouth open in a yawn. She wore a large linen tunic that swallowed her slim form, hanging down to mid-thigh. Beneath it her legs were bare, the light of the moon cast- ing them in a soft glow. The sight burned into his brain, never to be forgotten. Have you ever wished that Losing It could be made into a movie or a TV show? If so, you aren’t alone – I get questions all the time asking if we’ll ever see Bliss and Garrick on the screen. And now I can finally say….MAYBE!! Bernie Su is a creator, writer, director and producer known for interactive and transmedia storytelling. Past projects include the Emmy winning LIZZIE BENNET DIARIES and EMMA APPROVED, and FRANKENSTEIN MD for PBS. He was named VideoInk’s Creator of the Year in 2014. David Tochterman is a veteran executive and producer with a record of developing award-winning digital and television properties. He has most recently been a digital strategy consultant for PBS, ABC and Starz. He launched the digital media division of Innovative Artists, led the television division of Will Smith’s Overbrook Entertainment and was a SVP of the television powerhouse Carsey Werner Company. This seems like as good a time as any to go ahead and point out that typically authors have very little control over things like casting. So while you guys can fancast to your heart’s content, please know that A. That is a long ways away. And B. Completely outside my control. And C. I love you. The One with ANOTHER Rediscovered Bliss and Garrick Scene! This takes place some time after the events of Keeping Her, and is unedited – so my apologies for any mistakes. 🙂 Enjoy! I dropped the fake smile from my face and escaped into the oversized dressing room with Kelsey. I sank onto a frilly little settee in a bridal shop that was painfully overpriced and opulent. Neither set of parents seemed to understand that Garrick and I didn’t need to be in more debt than we already were. My mom refused to accept that the both of us would continue on in theatre. It baffled her that we would spend our lives on careers that had very little chance of advancement or a decent paycheck. Kelsey rolled her eyes and eased herself onto the love-seat across from me. Only three months pregnant, and she was already walking like someone had shoved a bowling ball up… well, somewhere bowling balls should not be shoved. If you had asked me a year ago, I would have told you I couldn’t ever picture Kelsey being pregnant. Now I know that was because I never pictured her pregnant and scowling. I stood, and she slowly did the same. “Is it really that bad?” I asked, eyeing her slightly rounded stomach. And that was all the reprieve we got as the door opened, and the seamstress bustled in with both mothers hot on her heels. Kelsey went off to run interference as promised, and I focused on the seamstress as she retrieved my dress. It was the one thing about all this planning mess that had gone unequivocally right. It was this gorgeous mix of vintage and modern. The bodice was a slim-fit with boning like a corset. It wasn’t just for support though. They’d stitched it so you could see the vertical lines, and they flowed with the body. The bottom of the dress was made up of gorgeous pieces of chiffon of varying lengths, and they softened the effect of the very structured top. In all, it felt like the perfect choice for me. The seamstress was a petite Asian woman, and by her expression, she had about as much patience for the moms as I did. “You ready?” She asked, stepping away from where my mother was clucking about how she still couldn’t believe I’d chosen such a simple dress. To me, it was anything but simple. But I guess for Mom, anything without a massively poofy skirt or long train wasn’t good enough. It was also one of the only affordable dresses in this place she’d insisted on taking me to. I was pretty sure the end of that sentence was supposed to be then I’m happy, but she didn’t say it. And she sure as hell didn’t look it. Garrick’s mom was looking between the two of us with an almost gleeful smile. In the beginning, that woman had terrified me. Still does, really. But then we kind of hit it off and worked some things out. But she despised my mother, so she was happiest when the two of us were at odds. Which was a lot these days. She handed the dress over to me, and I slipped it over my head. All the little pieces of chiffon got bunched and stuck as I pulled it down, so I stepped out from behind the screen to get some help. Kelsey worked on pulling all the pieces of chiffon loose so they hung properly while I slipped my arms through the tiny straps. The seamstress stepped around me to start zipping up the bodice while Kelsey finished. She got it halfway done before the metal whine of the zipper began to slow and then stopped all together. There was an ominous pause, and then she pulled on each side of the top, smooshing my breasts tightly against the bodice, and trying again. She got another inch or so, but I could feel her straining behind me, and the pinch of the boning around my waist. Kelsey was below me, still adjusting chiffon, and she snickered. Mom helped her pull, and together they zipped the dress up all the way, until I felt like one deep breath might do the whole thing in. “Are you pregnant?” Mom’s voice was stern, accusatory. “You’re certain?” Garrick’s mother asked, one sculpted eyebrow raised. She’d seen me through one pregnancy scare when we visited London. She was going to think I was a hot mess if I had another. I would have been absolutely livid, in fact, I was livid for my friend. But Kelsey wasn’t bothered in the least. Mom hummed and said quietly, “It certainly wouldn’t kill you to eat a little healthier.” I closed my eyes and resisted the urge to lash out. She gestured for me to step up on the round platform they use to fit and hem the dress. I made eye contact with Kelsey, and she gave me a reassuring grin accompanied by a supportive eye roll. I took the seamstresses hand, and she helped me step up onto the platform. Garrick’s mother placed a pair of heels in front of me, and I slipped them on. A piece of chiffon got stuck in the left heel, and I reached down to pull it loose. Then like it was happening in slow motion. I felt movement at the back of my dress, a rush of air, and then the loud ripping sound seemed to follow behind a second later. Everyone started yelling and rushing around. And I just froze, half bent over, my eyes screwed shut and my bottom lip pinned harshly between my teeth. Surely not. It can’t be. I barely bent over at all. It’s not like I’ve gained THAT much weight. But I couldn’t deny the brush of air across my lower back that should not have been possible in this corseted gown. I would have stayed bent like that forever, trying to convince myself that this was another one of those wedding-themed nightmares that had been plaguing my sleep, but Mom gripped my arm and forced me to stand up right. And that was the final straw for me. Garrick’s mom looked pleased by my show of strength, but not impressed enough to move. I picked up my skirts to keep from causing another wardrobe disaster, then I stepped off the platform and bolted for the bathroom in the corner. My hands were sweaty and slipped on the ornate knob, but I could hear my mother coming after me, so I focused enough to push the door open and slam myself inside. Then I gave in to the inclination I’d been having from the moment I heard my perfect dress rip, and I screamed. The screaming only lasted a few seconds though. Then the crying set in. I wouldn’t open the door for anyone. Certainly not my mother. So when the door creaked open about half an hour later, I was shocked out of my depressed stupor. There, peeking into the room, was Garrick. It took his eyes a few moments to find me where I was sprawled on the floor. Normally, I wouldn’t have let a single inch of this dress touch the floor of a bathroom, but this place was nicer than my apartment. And the floor was carpeted in the sitting area, so I figured I was okay. But it occurred to me then that Garrick wasn’t supposed to see me in this dress. It was bad luck, and we definitely didn’t need any more bad luck. The logical thing would have been to tell him as much. But I wasn’t much for logic at the moment, so instead I rolled over like hiding the bulk of the dress would help, all while screaming at him to get out. He closed the door behind him, and I heard the soft fall of his footsteps across the carpet. I didn’t remember that the back of my pretty, perfect dress was a ripped mess until Garrick knelt beside me and ran a finger down my revealed spine. That’s when I started crying again. I knew even as it was happening that I was a blubbering, unattractive mess. I knew I sounded pitiful and whiny, but I just couldn’t help it. When you love someone, everything about life should get easier. All we wanted was each other, so the rest of this stuff shouldn’t matter, but what did it say about us that we couldn’t even get married without a disaster? What did it say about me? Would my whole life be this way? Every big moment? Would I get arrested on our honeymoon? Give birth to my first child in the cab on the way to the airport? How long would Garrick stick around for that? His palm flattened against my lower back, and suddenly it was too hard to breathe. I needed this ruined dress off of me. I needed it gone. I needed to be away from this place with no talk of dresses or invitations or flowers or vows. I needed everything to be how it had been before. 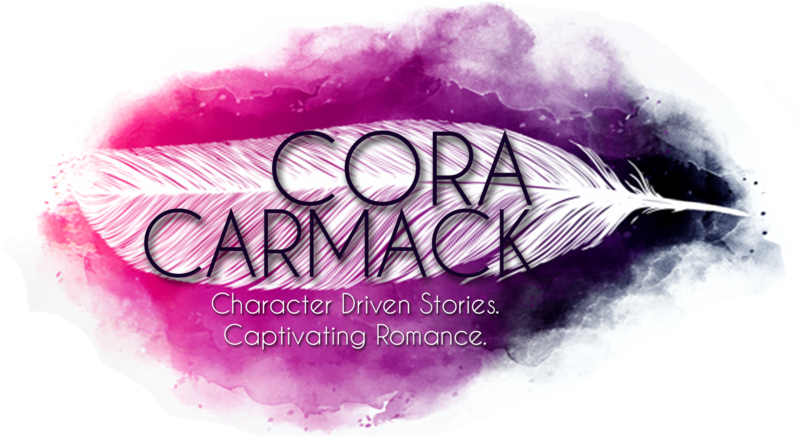 I sat up, hiccuping out words from between sobs, and it took a few moments before Garrick seemed to understand what I wanted. I pulled the straps off my shoulders and started grappling with the zipper at the back, but the dress had ripped right next to it, so I had trouble getting the leverage to unzip it. I pulled too hard, and I heard another rip, and I couldn’t even form words anymore. Garrick’s hands caught mine, and with our fingers laced together, he sat down behind me, wrapping both of our arms around my middle, trapping me against his body. I laughed in spite of myself. I hated that this kept happening. I was always the one falling apart, and he was always the one putting things back together. That was another thing that couldn’t last. I had to learn to hold my own in this relationship. I had to be better. He hummed, bending his head and grazing his cheek along the slow of my shoulder. As if punctuating his point, his hands released mine to trail up my sides, tracing the lines of stitching on my dress. “Now you do,” I mumbled. He pulled my chin forward, tipping my mouth up toward his, but I hesitated. Punch to the solar plexus right there. This time when he tilted my chin up, I didn’t resist. He covered my lips with his, and I opened up to the taste of him. My stomach swooped the way it always seemed to when he kissed me. Never would I have thought that such an unsteady feeling would be the thing to ground me. His fingers continued their light stroking over the top of my breasts. And slowly, his mouth teased mine until everything else disappeared. The ripped dress. The invitation mistakes. Even our mothers. And let me tell you, it takes quite a kiss to make those two fade into the background. But I was soon to be Mrs. Garrick Taylor. And yes, it was easy to get swept away with all the mishaps and the planning and the stress. But when he was in front of me, touching me, his forehead resting against mine… none of those other things had any kind of pull on me. Because the gravity I felt toward him would always be stronger. With him, I’d always be stronger too. Remember, you can read all of the Bliss and Garrick bonus scenes (as well as bonus content from my other books) on my Extras page! The One with the Long Lost Garrick POV! This scene is from Chapter 23 of Losing It, and it’s unedited, so please excuse any mistakes. I needed Spring Break like I need air. I just needed a week where I didn’t have to see Bliss everywhere I went, where I didn’t have to watch her pour her heart out on stage every night in rehearsals. where I could be miserable in peace. But I had one more rehearsal to get through first. Then I would recharge for the week, power through the end of the semester, and move on. I sighed. Why was that thought so depressing? I should have been happy to move past all of this. With my keys in hand, I left my flat to head to rehearsal. I was running a bit behind, so I jogged out into the parking lot. Bliss stood out in the middle of the driveway, directly in the road, and she was bundled up in sweaters like it was winter, rather than the end of March. I took a deep breath, steeling myself. She didn’t even react, but she did wobble on her feet, like the night I’d seen her drunk with her friends. I called her name again. She shook her head, and then pressed her hands to her temples. She bent at the waist, and I watched her body begin to sag toward the ground. I didn’t bother calling her name. I ran toward her, and wrapped an arm around her waist a second before her legs gave out completely. She whimpered and kept reaching toward the ground. I pulled her up, cradling her in my arms. Her head lolled against her shoulder, and her normally lovely pale skin was missing her usual glow. Instead, it was a ghostly white. Even her lips were a pale purple. Every time she swallowed, her whole face contorted in pain. Tiny pools of tears grew at the corners of her eyes, and I was gutted just looking at her. She snuggled deeper into my embrace, and I felt like I took my first real breath in weeks. She didn’t stir when I reached her apartment and dug through her pockets for her keys. She lay, dead weight, in my arms, and panic coated my lungs. I knew, logically, I knew it was mono. There were already half a dozen people out with it in the department. They had a fever for a bit, then they were really tired for even longer, and then they came back, slowly but surely. I knew there was nothing to worry about, but seeing her like this terrified me. I wrestled the door open, and kicked it closed behind me. I ducked through the curtain into her bedroom and laid her carefully atop her bed. She moaned, but didn’t open her eyes. My thoughts splintered and scattered all over the place, and I couldn’t make myself focus on anything but the way she wrapped her arms tightly around herself, like she was in so much pain. I made myself stop and think. First things first, I need to let Eric know that she wasn’t going to be a rehearsal. And neither was I.
I couldn’t leave her. I wouldn’t. I sent him a text, and then returned to Bliss. Her eyes clenched shut, and her teeth clamped down on her bottom lip as she shivered. I pulled the covers up to her neck, but her expression remained tense. I reached out and pulled her bottom lip from between her teeth. She made a humming noise, and I traced my thumb across her lip again. God, I’d been so stupid. Touching her now, I couldn’t remember why I hadn’t spent every waking moment beating down her door asking for another chance. My phone buzzed with a call from Eric. I explained what was going on. I lied and said I wasn’t feeling well either. I said I was going to get Bliss settled then go get some rest myself. He didn’t know exactly what to do for mono except to try to break her fever. He insisted that the hospital wasn’t necessary. Just to rest, and not to let her get too hot. She shivered, and I pressed my hand against her cheek. She made a noise in her throat and leaned into my hand. “I don’t know what to do,” I said. There were so many things I’d done wrong since I’d moved back here, many of them to do with this beautiful woman, but I could never say no to her. Not even when she didn’t know what she was asking. Fever. I could do this. She was wearing two sweaters over her t-shirt and jeans, so I slid those off of her as carefully as I could. I left the covers down by her waist, so that she wasn’t too covered up. She swallowed, and then pressed her head back into her pillow, grimacing. I didn’t know what was best. I didn’t want her to be too warm, but I couldn’t watch her shiver like that. Before I could second-guess my choice, I pulled my shirt over my head, and slid into bed next to her. I slid her toward me, and she melted into my chest. She gripped my back with weak fingers, and her cheek was blistering against my bare skin. Still, she shook, and I wrapped my arms around her to try and hold her still. She sighed every time I pulled her closer and held her tighter, so I did just that. I whispered her name, and combed my fingers through her hair, and ran my hands over her over-heated skin. I hoped that I sounded more confident than I felt. Finally, after nearly an hour, her shaking slowed and her breathing evened out. I pressed a kiss to her burning forehead and said, ‘I’m sorry. I’m so sorry. She might hate me when she woke. Or worse, she might not care at all. But every whimper out of her mouth wrung my heart out like a rag, and I knew that moving on from her wasn’t going to be easy. More importantly, it wasn’t what I wanted. EEEEEP!! Hope you enjoyed! It’s always fun to revisit Garrick and Bliss. Make sure you check out my extras page for lots of bonus content from all of my series! Hello dear readers and friends! I would love to be able to tell you that I’m here with an update on my publishing schedule for the year. I’ve had a lot of emails and messages and tweets asking me about upcoming books—both Inflict and All Closed Off. I’ve cherished each message because it means you care (and that’s AMAZING), but mostly your questions have gone unanswered. For that, I am so sorry. As you might know, I had originally intended for Inflict to release this month. That was my hope, my wish, my determined intention. But I’ve been having some health issues, things I’ve put off for a while because I was too busy with this or too busy with that. And now they have unfortunately caught up with me. My 2016 so far has been filled with doctor visit after doctor visit. I’ve kept quiet, waiting for the day when I would have a diagnosis, so that I could have a better idea of what my life will look like over the next few months and hopefully offer you a more concrete answer as to when my next books will be out. I had hoped that day would be today after I had my latest specialist appointment yesterday. But unfortunately, I still don’t have a diagnosis. Just another guess among many and a referral to a different kind of specialist. So while I don’t know what’s wrong with me or what kind of treatment I will eventually need (and what toll that will take on my schedule), I do know that I cannot promise anything right now. Inflict will not be releasing this month (which you probably guessed considering it is January 20th). All I can say is that it’s still on my mind and in my heart, and I’m working on it as often as I am able. But for right now, I’m in a limbo of sorts, and my books are there with me. So in answer to all the questions I’ve gotten about release dates, the only response I can give you right now is… I don’t know. As someone who NEEDS to have a plan, I hate that answer. I hate giving it to you. But I am unfortunately running very low on answers of all kinds at the moment, so it’s all I have. I truly adore you all. You bring joy to my life through messages and comments and reviews and posts about cats. You encourage and uplift me without ever knowing you’re doing it. But now I have to ask you for some time. Time to figure out my body and my life in addition to words on a page. When I know more—about books or my health—I promise to share. But for now, I would prefer not to hypothesize about either for my own sanity (trust me, I’ve had my fill of hypothesizing already). As of this moment, I have no plans to cancel any signings or appearances, and hopefully will not have to at all. And you’ll still see me here on social media occasionally. I’m not tucked away on my deathbed somewhere; so don’t let the vague nature of this status scare you. Thank you for reading this, for reading my books, and for hopefully understanding the delay. I am afraid that I still don’t have any news for you about release dates. Nor do I have any concrete news about a diagnosis. I was pretty vague then because I had hoped that I would have answers soon and would be able to come back and give a more comprehensive answer about what is going on in my life. Clearly that is not the case, so here is what I can tell you. Primarily, the issues I’ve been experiencing are vision related, which is why they’ve affected my writing schedule so drastically. I have unexplained central vision loss and distortion in my left eye, along with double vision in both eyes, and stubborn, long-lasting headaches. The good news is after a battery of tests on my eyes, they’ve not found any sign of degenerative eye diseases. So the next step was to look to my brain. I had an MRI and MRA, both of which came back clear– also good news. So the final hypothesis from my doctor was that I had increased intracranial pressure that was putting pressure on my optic nerves causing the vision issues and headaches. To confirm that hypothesis, I had a lumbar puncture (aka spinal tap), which unfortunately (or fortunately… I don’t really know any more) came back showing a normal pressure, complicating that theory. So, I’m still in limbo. I wish that I could offer a more concrete answer with regards to release dates. At the moment, I’m just taking things a day at a time. This is going to be short and sweet because I’m spending time with my family and working like crazy on Roar and Inflict. And I figure you’d all understand! But as I consider all the things I’m thankful for, right near the top of my list are the readers that allow me to chase my dreams. P.S….That means YOU! I’m thankful that every time I fall into doubt and fear, there’s a tweet or a message or an email that lifts me up out of that mire. I’m thankful for your patience as I work on multiple series at once. And I’m simultaneously thankful for your impatience because every time someone asks me about Inflict or Stella and Ryan or Brookes or the new YA– I’m reminded that people care about my words. And just that is enough to help me push forward on days when I’m tired or blocked. I’m thankful for the readers I meet at signings, the ones who make this solitary career feel vibrant and joyful and honestly like a dream. I will never have the words to say how grateful I am for all of you (which is a bummer since, you know, words are supposed to be my thing). You give me so much support and encouragement and inspiration, and I just want to be able to give a little bit back to you. So, for this week’s Thankful Thursday, one lucky winner will get SIGNED paperbacks of Losing It and All Lined Up, as well as a $25 gift card to the book retailer of their choice (Amazon, BN.com, iBooks, etc). If you haven’t read any of my books, both Losing It and All Lined Up (the first books in their respective series) are only $2.99! Or if you’re looking for a gift to give this holiday season, consider sharing my books with a friend. 🙂 Also, Inspire is FREE with a Kindle Unlimited subscription for approximately one more month. And if anyone asks you what YOU want this holiday season, you can’t go wrong with a Rusk sweatshirt. It can keep you warm in the absence of Carson, Silas, and Mateo! 😉 AND if you buy two or more items from the Rusk shop between now and December 1, you get free shipping! Plus we’ve been tweaking my website – there are some new titles added to the Foreign Editions page, an updated FAQ, and some new info on both the Events and Extras pages. So be sure to take a look around! I hope you all have a wonderful weekend, wherever you are and whatever you celebrate!